1. Total distance of route? 4 hours, including a leisurely lunch. 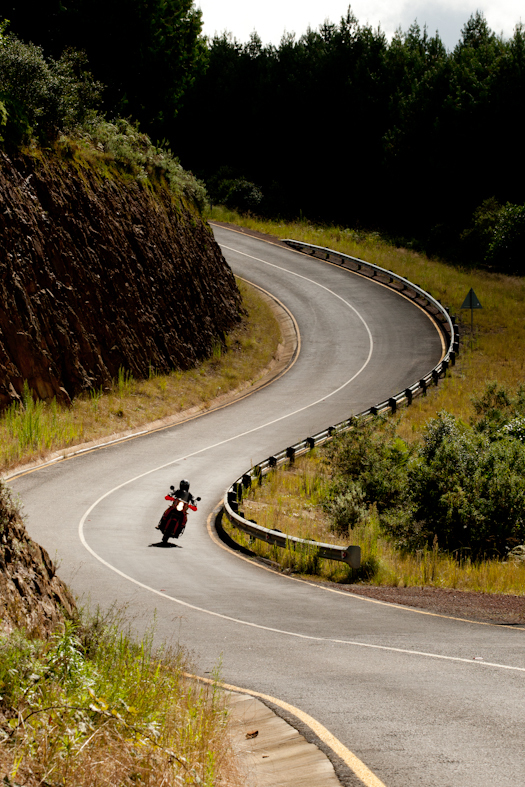 Explores the back roads of the Western Cape and offers a diverse mix of slow, medium and fast riding. Low traffic volumes and scenic views make for a good mid week break away from the city. From the N1, take the shortest route to the N7. Keep on the N7 until you can take the Philadelphia road. This road is a hidden gem and consists of 30km of twisty roads, with great surface conditions. At the end of this road, take a left onto the R304. Follow the R304 heading to Malmesbury. 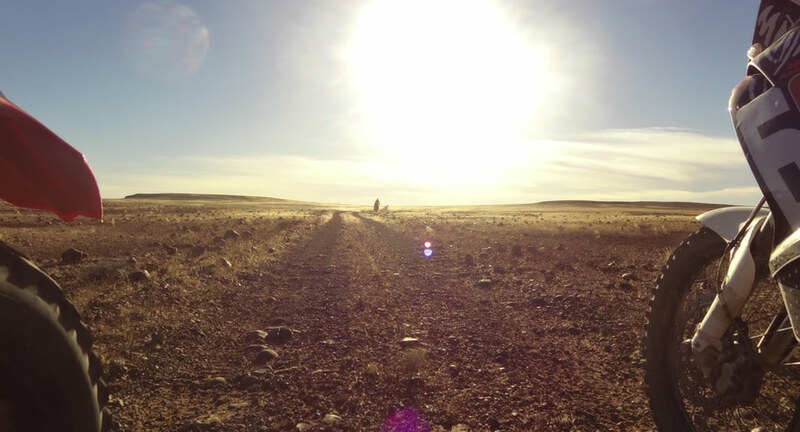 Keep a lookout for the road that says Wellington-Paardeberg. Turn right here and head towards Wellington. Keep an eye out for the Paardeberg Mall, where you need to turn left. (the word Mall is used figuratively – trust me it’s not what you think it is). Turn left here and head past the Paardeberg Correctional Service. 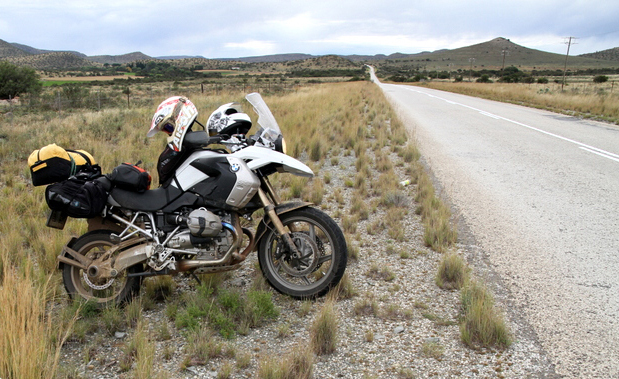 Where the Paardeberg road meets up with the R45, take a left and head towards the Fontein roads. Off road capable bikes have many options here, and can enjoy hours of fun going absolutely nowhere. Tar road runners have the option to either head into Riebeek Kasteel, or do the round trip to Malmesbury. This route took us to the quaint little town of Riebeek Kasteel. From here we headed back to Malmesbury and took the R302 back to Durbanville, cutting across the back roads to Durbanville. If you have a GPS, you can take any of 6 different roads to the N1. The route is suitable for all types of bikes. There is something here for everyone from the big cruisers to the out and out sports bike fans. On this trip I rode the most able Honda VFR 1200 Crosstourer, and mostly on tar roads. 6. Please name significant POIs (Points Of Interest) along the way, e.g. eateries, supermarkets, accommodation. The town of Philadelphia is worth stopping in for a quick coffee before heading off on the longer part of the ride (approximately 110km). Keep an eye out for the Paardeberg Mall on your left hand side, just before the turnoff to the road past the prison. Once in Riebeek Kasteel there are any of a number of activities – including olive tasting at Het Vlok Kasteel (a real castle) and the excellent wine and olive pairings at Kloovernburg wine estate. The lunch at Ed’s Diner was affordable and the place is very biker’s friendly. The entire trip can be completed on a tank of fuel, but there are garages along the way. 8. Are there any dangers along the route, e.g. loose gravel, potholes, sharp bends, regular oil spills, wild animals or angry locals? The road has some hazards to be aware of – some drive ways leading to the road, so keep an eye out for that dust cloud indicating a farmer in hurry to the market. There are some twisty bits, but nothing to alarm anyone of medium skill. These roads are used by heavy vehicles to deliver feed to the farmers, so keep an eye out for dark lines, usually diesel spillage. The costs for the trip was – 19 litres of fuel and R160 for lunch (for two), so all in for about R320,00. For the off road riders full gear is advisable, for the road riders, boots, and leathers are a good idea when riding in a group. Small stones can cause some irritation, as pointed out to me by my pillion. 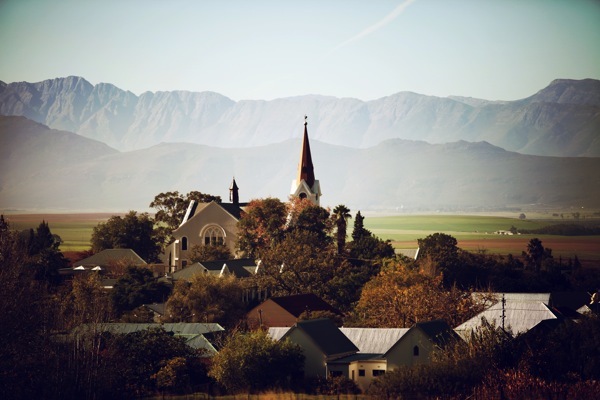 Riebeek Kasteel offers some great photo opportunities – make sure to use them to the full. The roads in and around this area offer many permutations so give yourself enough time to enjoy. I found the average comfortable speeds to be just over the national speed limit, but there are one or two places where one can be a little naughty – cautionary – keep an eye out for the local municipal police, they do make an appearance from time to time, just before the entrance to the bigger towns. This route is most enjoyable and will not disappoint. The rider – Mukhtar Mukuddem. ← BMW’s F 650 GS and F 800 GS refreshed. how do I get this route onto my garmin without point by point ?